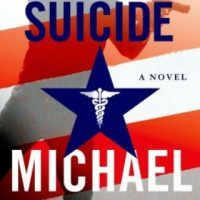 There’s only a few hours left to enter to win a SIGNED Hardcover Edition of Michael Palmer’s new medical thriller Political Suicide. If you haven’t already, be sure you enter for your chance to win the SIGNED Hardcover Edition that we will be giving away tonight, Tuesday December 18, 2012 at 8p. Instructions are posted in our review and on our Facebook page: here and here. In my review posted last week, I was talking about how much I loved the Prologue for this book. It really pulled me in, set me up and then left me speechless. So, today we have a special treat for you, an audio excerpt from the beginning of the Prologue. Give it a listen and then share it with your friends.